Although protection from this particular system does not accomodate doors, windows are decoratively complimented while ready to be shut and protected from dangers of hurricanes. When in the opened position, the colonial shutters are attractively opened next to the window, giving it an older architectural look. Any window on any floor may easily be secured from the threat of a wind storm from inside the home or business. 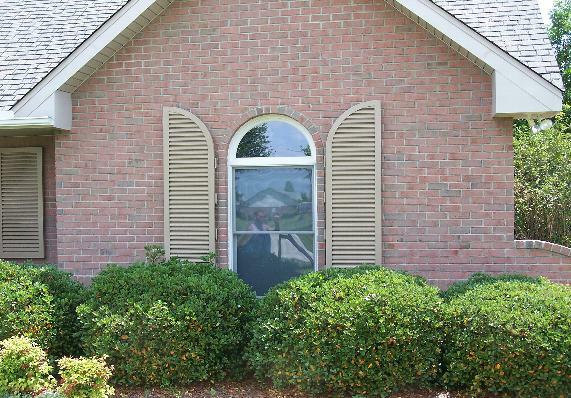 Colonial shutters can also be cut to match your arched windows, enhancing appearance.